Since the seller had been kind enough to forget a load of logs when he left, I had a handyman build me a simple firewood shed to store cut firewood. 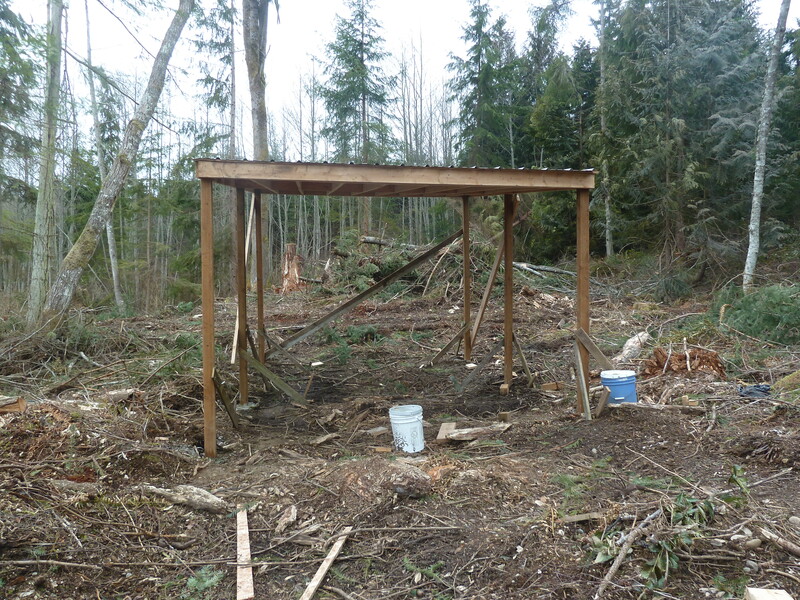 Here is a photo of the (empty) firewood shed. A Garden and an Orchard! Finished Tiny House!!! We Live Here!!! Pine Tongue and Groove Boards for Ceiling and Walls!